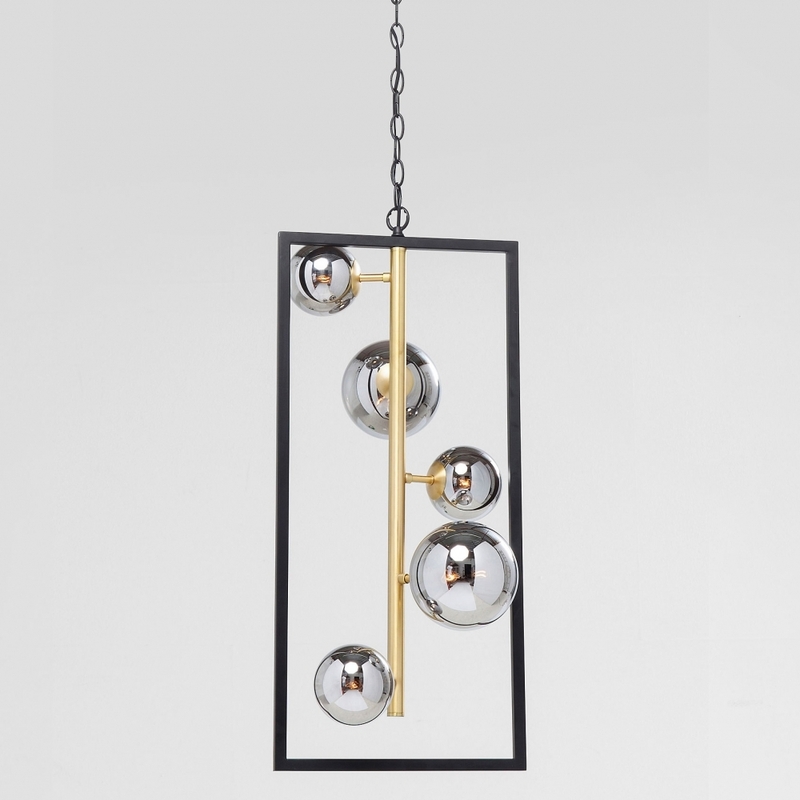 Bring drama to your dining room with this unusual 5 Light Spheres in Frame Black & Gold Pendant Lamp. With its black and gold colouring, this luxurious pedant light will add the wow factor to your home or entertainment venue. Featuring 5 smoky spheres spiraling around a golden pole and framed in black, this ceiling lamp will give a soft glow to its surroundings. Perfect for a maximalist decor style or a retro theme with bold geometric lines and shapes, this pendant lamp is an extraordinary decorative piece.